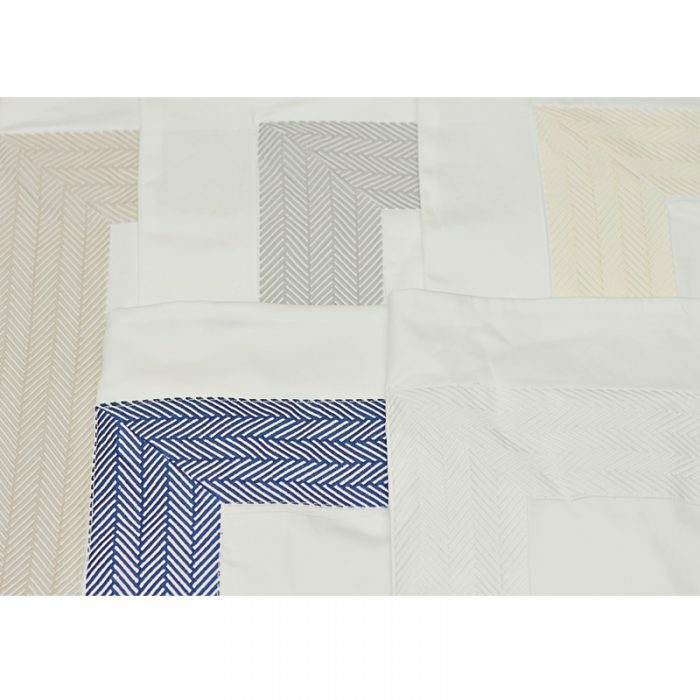 Meticulously finished at Italy’s top embroidery house, clean modern linear zigzag hand guided embroidery on 100% Egyptian cotton fabric available in 100 colors ( shown here with white fabric base ) is a testament to generations of experience in this tradition of creating fine linens. 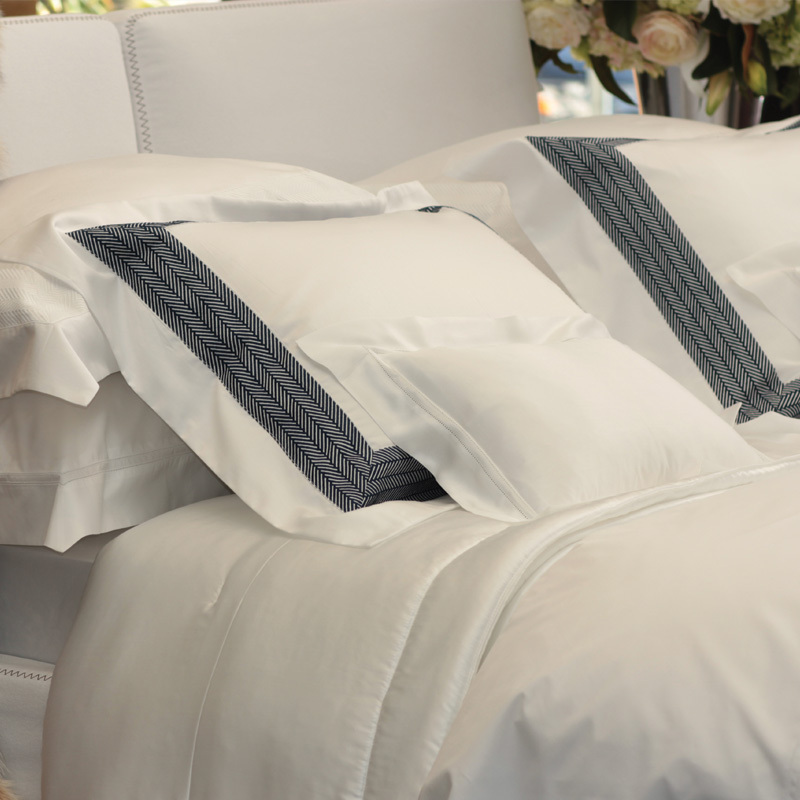 A true classic for those who enjoy simplicity combined with old world heritage for their quality luxury linens. Made of 100% Giza quality Egyptian cotton sateen or percale , these luxury bedding collections truly stand the test of time. Custom bedding available using a pallet of 100 base color fabrics and hundreds of thread colors. Stocked embroidery colors included in drop down link on this page .